Learn about the Geology of Southern Idaho with maps, photos and expert descriptions! 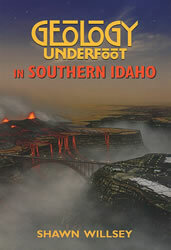 This 6"x9" paperback has 290 pages that are packed with detailed information about Southern Idaho's Geology. See table of contents below. 13. Shake, Rattle, and Roll! The Idaho DeLorme atlas gives you a complete set of Idaho topographic maps in a single convenient book.